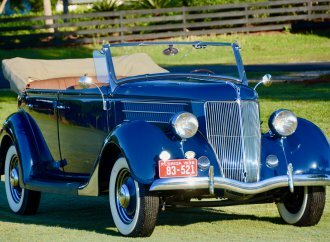 While most early automobiles were tall and tippy there were a handful of companies that pioneered the “underslung” design. 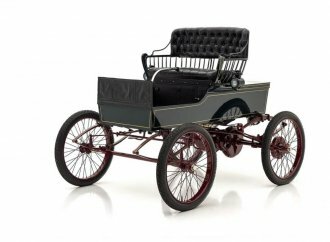 While most early automobiles were tall and tippy, with suspensions not all that different from horse-drawn carriages, there were a handful of companies that pioneered the “underslung” design. 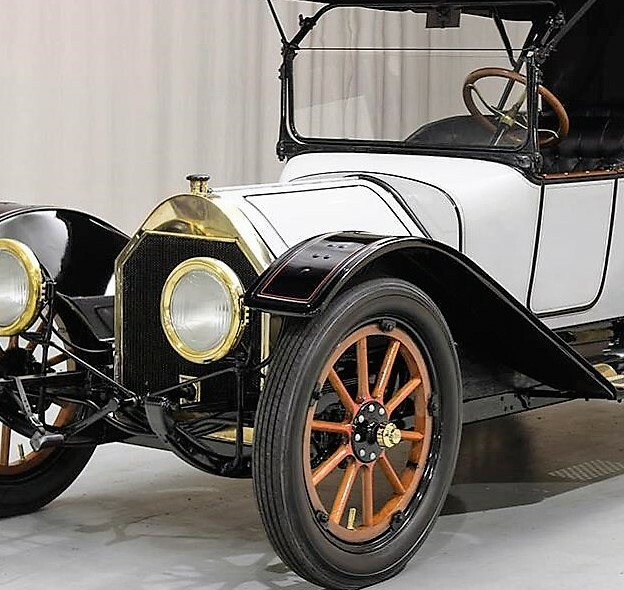 Instead of the common practice of mounting the springs and frames above the axles, these cars had their frames suspended below the axles, resulting in lower profiles, better centers of gravity and a more rakish style. 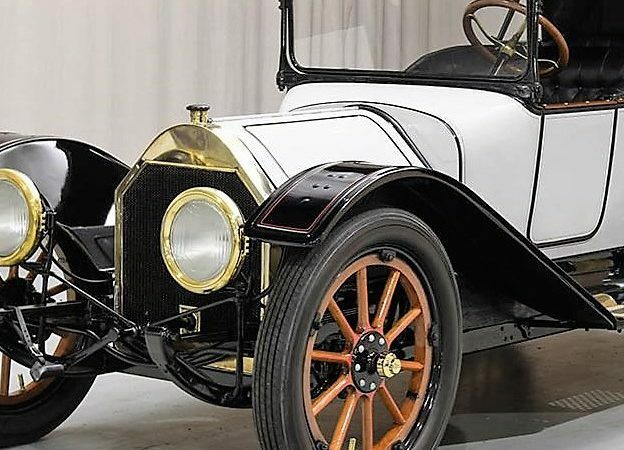 The Pick of the Day is one of these, a 1914 Regal Underslung touring car, a compact and sporty five seater listed for sale on ClassicCars.com by a St. Louis, Missouri, dealer, who describes it as a “wonderful older restoration” that has been driven and enjoyed, and is still in good, usable condition. Similar in design to the more-familiar American Underslung, the Regal has an appealing look accented by the wood-spoke, artillery-style wheels, which are extra-large to provide improved ground clearance for traversing the rough roads of the era. 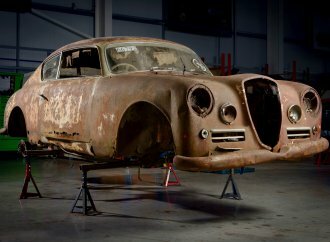 The Underslung design was promoted as a safety feature, the seller notes, because the car was less likely to tip with the lower frame and body created by the axles being located above the frame. The Regal “is very attractively finished in light grey with black fenders,” the listing says. “Red coach lines provide distinctive accents to both the body and the fenders. 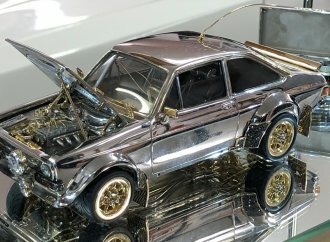 Restrained brass-finished accents on the car include the radiator shell, headlight rims and hub caps, as well as the step plates on the running boards. 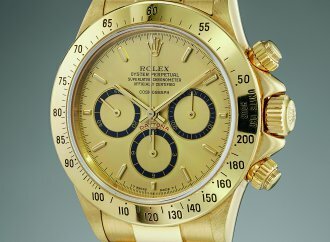 Compared with values for the American Underslung, whose sales at auctions have well-exceeded a million dollars, the Regal Underslung is a relative steal, with the dealer asking $57,500 for this lovely antique. 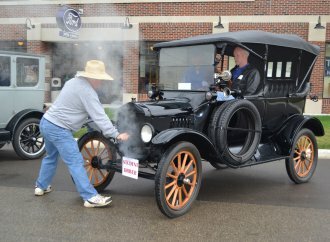 “This is a very rare opportunity to acquire an unusual, fascinating underslung Brass Era automobile that is gorgeous from top to bottom and that will be welcome at car shows, or enjoyed simply for driving around town,” the seller concludes in the ad.